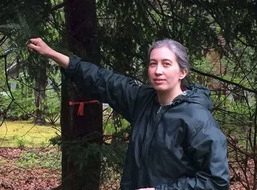 The Detroit Free Press published an in-depth article, submitted by the Michigan DNR sharing information about the fight against Hemlock Woolly Adelgid (HWA). Estelle Charroud, a Holland-native and dedicated Ottawa County Parks volunteer was featured in the article. This entry was posted in Ottawa County on December 21, 2017 by editor.